Omega Industrial Products carry and manufacture Handrails and Stairways designed to meet any adopted building codes. Steel Pipe Handrails and Safety Handrails are designed from pipe rails and structural tubing, constructed from heavy gauge steel to meet OSHA fall-protection requirements. OSHA Style and I.B.C. Style Handrails are available in both “Round Pipe” and “Square Tube” designs for any industrial railing or commercial metal hand rails needs. Omega’s handrail systems are modular components, meaning you can choose and customize parts to set up the exact single post handrails system you need. This also provides for easy shipping and installation. All of our products can be easily customized to your specific needs and dimensions, whether by height, length, color, location, or functionality. Request a quote and we will contact you. 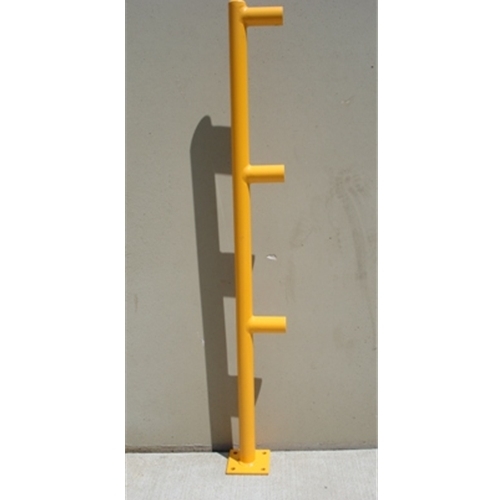 Guardrails and Safety Handrails must be a product of the company usually engaged in the production of pipe rails. Steel pipe handrail must shop to bring together in lengths not to go beyond 24 feet for field manufacturing. 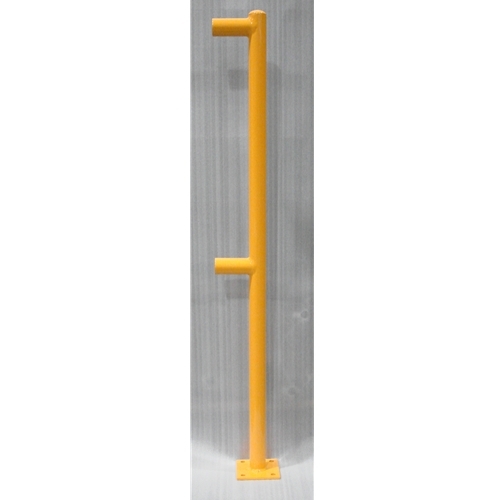 The single post handrails should be made of steel pipe handrails joined section fittings. Samples of all apparatus, bases, toe board, and pipe handrails shall be submitted for consent at the request of the engineer. Components that are pop-riveted or pasted at the joints will not be good enough. All the apparatus shall be automatically fixed firmly with stainless steel and metal hand rails hardware. Industrial Railings must be 1 1/2″ Schedule 40 aluminum pipe alloy 6105-T5, ASTM-B-429 or ASTM-B-221. The post shall be 1 1/2″ Schedule 40 aluminum steel pipe handrails of the same alloy. Post spaces must be a maximum of 6′-0″. Guardrails and Handrails must be intended to endure a 200lb resolute load applied in any course and at any point on the top metal hand rails.